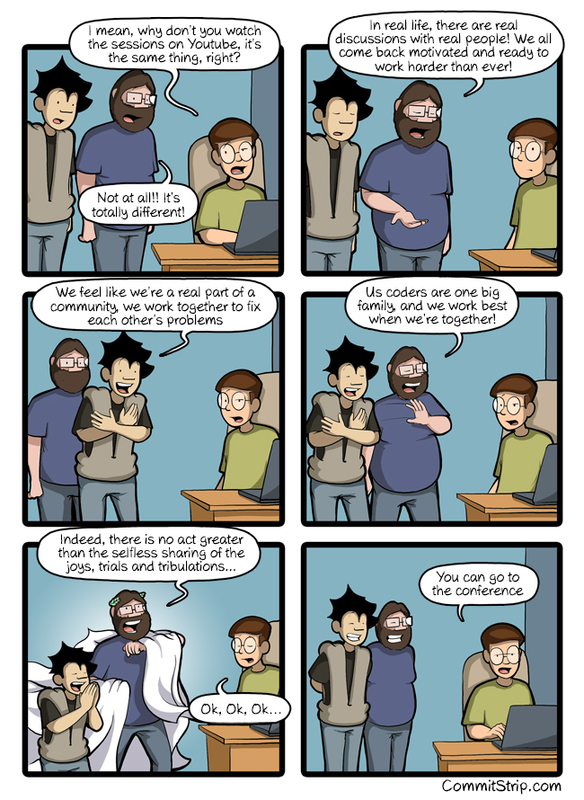 Today our strip is sponsored by the Oracle Code Paris conference ! It’s a (free!) tech conference open to all, covering todays tech hot topics including bots, blockchain, serverless, machine learning, orchestration and APIs. Yep, you read that right, the conference isn’t focused on Oracle tech, just the opposite! We’ll be there for a live-drawing session and at our book-signing stand, so what are you waiting for? Sign up online and we’ll see you there on the 3rd July for a chilled summer conference!